Stripe is a leading online payment processor that is used by retailers across the globe. Our integration with Stripe allows you to accept payments within Orderhive's interface. Currently, the integration between Stripe and Orderhive is only one-way. To add your Stripe account, go to Add Integrations page and under Payment category click on Stripe. 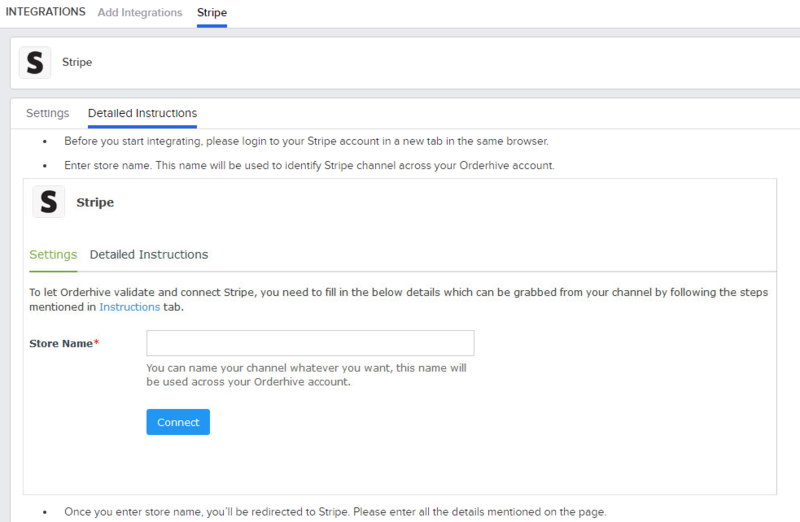 Next, go to the Detailed Instructions tab and follow the steps required to add your Stripe account. 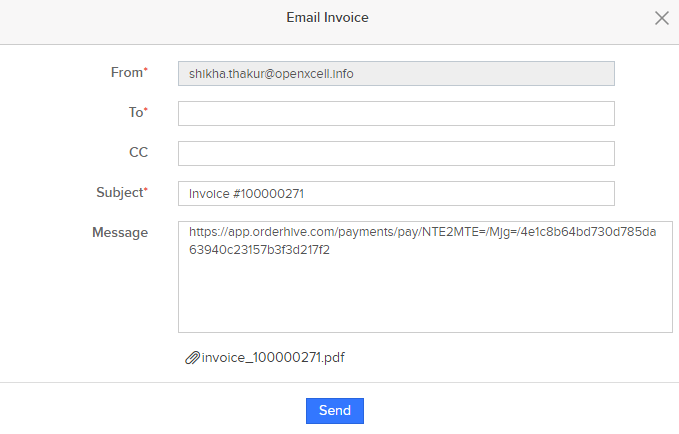 Once you've connected your Stripe account with Orderhive, you'll be able to charge customers against the invoices created in Orderhive. There are two ways you can accept a payment from customer within Orderhive. Go to the Invoice tab on the sales order detail page. 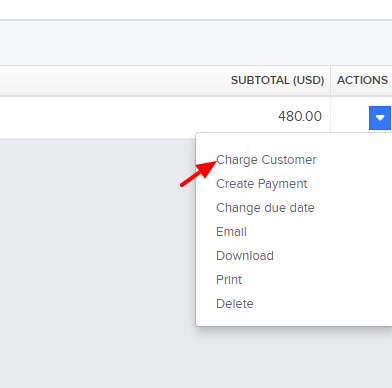 From the Actions dropdown menu, select Charge Customer. A new popup window will open from where you can add the credit card details of your customer and click on Send. 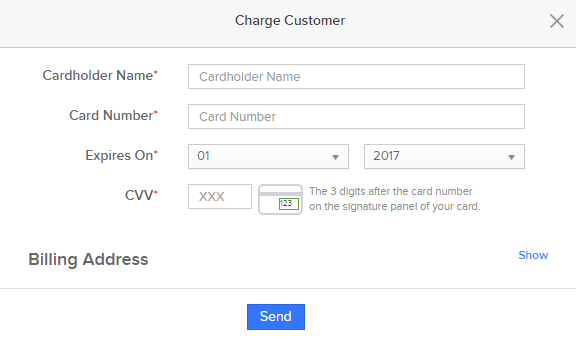 This action will trigger Orderhive to automatically charge your customer and payment will get created in Orderhive and Stripe. Also, the order status will get marked as Paid. Note: You can only use this action for unpaid invoices. In case you want to send the payment URL to your customers, use the Email option from the Actions dropdown. A new popup window will open prompting you to confirm the details and add any extra message/comment that needs to be sent to your customer. On clicking Send, your customer will receive the invoice and the payment link which will contain the option to pay via Credit Card. Once the customer has made the payment, the order will get marked as Paid and a new payment will get created in Orderhive and Stripe. Note: The integration allows you to manage full and partial payments, both.